Driving while intoxicated, or DWI, is one of the most serious vehicle and traffic offenses heard in the New Jersey municipal courts. A first conviction results in significant fines and penalties. A second DWI conviction can include jail time in addition to fines and penalties. A third conviction will result in a county jail sentence, plus fines and penalties. Any DWI conviction has severe ramifications for the driver's automobile insurance. The consequences of such a conviction for someone with a commercial driver's license (CDL) can be catastrophic. 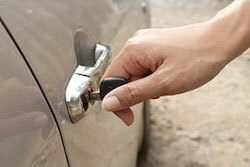 License Suspension - Every DWI conviction in New Jersey carries a mandatory license suspension. On a first conviction, the defendant's license will be suspended for at least 7 months. A second conviction results in a 2-year suspension. The suspension for a third conviction is 10 years. Jail Time - Most first offenders do not receive a county jail sentence in addition to the standard fines and penalties. A second offender will typically receive a term of 2-90 days in the county jail. A third offender will typically receive a county jail sentence of 180 days. Other DWI penalties include, but are not necessarily limited to, the installation of an ignition interlock device on the driver's vehicle. There is no plea bargaining in DWI cases in New Jersey. It is therefore essential to retain an attorney who understands the proofs that the State uses to obtain DWI convictions. These proofs take several forms. The first is breathalyzer results. The second is the results of the standard battery of field sobriety tests administered at or near the time of the traffic stop. Finally, the arresting officer's observations of the driver's behavior at the time of the traffic stop (slurred speech, watery eyes, etc.) also factor heavily into the State's case. Drivers who are stopped for DWI should remember two simple but important rules. First, these drivers should not admit to the arresting officer that they recently consumed alcoholic beverages of any kind. Further, drivers who are stopped for DWI should not refuse to take a breathalyzer test. This will constitute a separate offense that will worsen the situation. The better course of conduct is to take the breathalyzer, and then deal with the case in court. Defending a DWI requires a high level of skill and expertise. Aside from understanding the law, the defense attorney must know what to look for when reviewing the discovery provided by the State, which is substantial for a municipal court matter. The attorney should have a thorough understanding of the proper procedures for administering field sobriety tests, as well as the technical aspects of the breathalyzer test. The latter requires knowledge of current law, as well as knowledge of the proper functioning of the machine used and familiarity of the underlying scientific principles and concepts. Given the high-stakes nature of even a first-offense DWI coupled with the scope of the knowledge required to mount a meaningful defense, a defendant should be represented only by an attorney who is highly experienced in this area. Balding tires or other faulty vehicle equipment. The resolution of any case carrying one or more of these offenses will have an impact upon the dollar amount of any fines paid, the defendant's driving abstract, and the future cost of the defendant's automobile insurance. Thus, what appears to be a relatively low-level municipal court offense can actually have far reaching implications. As with DWIs, these matters should also be handled by an experienced defense attorney. New Jersey Criminal Defense Attorney James S. Friedman defends clients charged with driving while intoxicated/driving under the influence, and other motor vehicle offenses in municipal courts throughout New Jersey. If you or a member of your family has been charged with such an offense, contact Mr. Friedman online or call toll free at 800-361-6554 to discuss your case and learn about your options.